If we have a mobile device award show, this would go to the weirdest device of the year. I mean, really. The device that the company formerly known as RIM hopes will be what can save itself is a weird one compare to modern smartphone today. With a 5-inch 1440×1440 resolution display, this literally a square with a unique QWERTY keyboard at the end. Although it has been confirmed, we still do not know how it will look, until today. A twitter user has taken on the liberty of making an image of the device, after carefully listen to what the CEO of BlackBerry, John Chen has said. To recap, he said that the phone will be a high-end, 5-incher square display with a QWERTY keyboard, and will be available in white. So, @Pootermobile has used this knowledge to create such a phone. 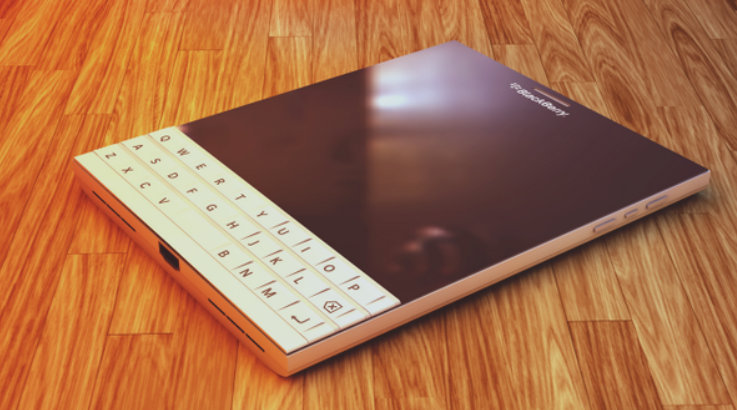 Although this is not the phone itself, it is a good representation of what the passport would probably look like. Now, I do not necessarily like the idea, the handset looks so darn nice in the white suit. So, do you like the idea and how it looks?